10 of our Favorite Toy Stores in the U.S.! If you saw the movie, "Big" with Tom Hanks, you probably remember the scene where Hanks is playing with the massive piano keyboard. That scene was filmed in the world-famous FAO Schwartz toy store, the oldest and considered one of the best toy stores in the United States until it closed in 2015 despite being a popular tourist destination. Truth is, quality toy stores are a source of pride in many cities across America, and the maxim bigger is better is not always the case. Sometimes a good toy store is a place that can see things from a kid's perspective. 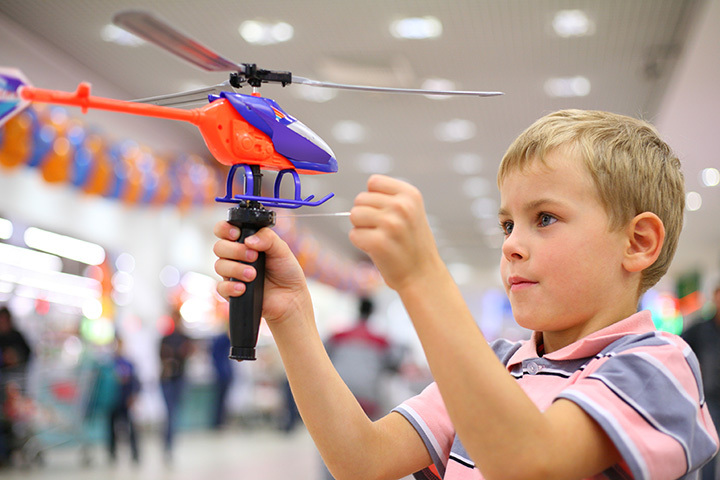 Think back to when you had a favorite toy or toy store near you and see if any of these bring back childhood memories for you. Magic Beans may look like a large chain, but they were founded by a husband and wife looking for toy store "designed for kids and optimized for parents." Their toys are handpicked to please all ages and their stores include places where kids can test drive the products as well as in-store events everyone can join in. Their stores, mostly in Massachusetts have won awards like the Boston location voted a family favorite. The toys at Kidstop are parent-tested and kid-approved. Well, not really, but the owners says "If I wouldn't put it in my home, it won't be in yours!" The focus is on quality toys that encourage children to learn while they play. You can spend a pleasant hour or three exploring the thousands of toys in their store or shop their website, neatly organized into color-coded chiclets by age or category of toy. The Toys at Galt Baby have been turning frowns upside down for decades. The owners research trends and stay on top of what's best for baby and mom. You can visit their showroom where one of their trained staff will allay your fears and help you choose the perfect baby gear from strollers to the toys that will keep them occupied en route. Galt has a couple of "best of" badges under their belt and the store boasts baby product experts on board! Toy House is the largest family-owned and independent toy store in the U.S. and they promise the "largest selection of toys under one roof in America." They invite you to browse the toys online and then make a visit to their store in Jackson, Michigan. You can also visit their Toy House University online to educate yourself about making good toy choices. Playthings Etc considers itself the world's coolest toy store. That may be because the physical venue is shaped like a B-2 Stealth Bomber complete with a Lost-in-Space-looking silver exterior. Inside they hypnotize their customers with a mind-boggling selection of toys and games-from classics from the past to toys of the future. Treat yourself to an out-of-this-world experience in their store where a demonstration might include magic tricks, unicycles, rockets or pogo sticks! The Toy Genius tagline is "Engaging minds from 0-99" and they are proud to offer a hand picked selection of educational toys and games. If you can't make it to one of their stores you can shop their virtual mall with help from a virtual assistant who will help you choose from thousands of products organized by brand, category and age group. Their Best Sellers can be filtered by age, including, 15-Adult, so don't deny yourself the pleasure of feeling like a kid again. If playing is how we learn, then toys are the ambassadors of education and at Ambassador Toys you will find classics from your childhood as well as craft kits and art supplies to nurture creativity and foster confidence. Their selection of high-quality toys have won them acclaim from the industry and associated media outlets, including being nominated as one of the best specialty toy stores in the United States. Finnegan's is an independent toy store in one location where you will find thousands of more products in their store than on their website. Having a toy emergency? Call them and they will talk you through it. From sidewalk chalk to a Games of Thrones coloring book, you will find a toy or a gift waiting for a home in departments like Active Play, Bath Toys, Dress-Up, Magic, Puzzles or Vehicles and Trains-just to name a few! At LARK, one of the many attractions is the hand-carved carousel that runs every 30 minutes and costs $2 to ride. You can also take a stroll down Memory Lane, where they accept donations for their antique toy collection. Spend some quality time in their Bookstore or step outside to play mini golf. As for toys, they are famous for their handmade wooden pull toys crafted in classic and whimsical shapes destined to become a playtime favorite. LEGO stores sell more than just LEGO sets, although you might be surprised by what you can make with LEGOs! Educational toys along with ideas and lessons for homeschool and after school activities are designed to "stimulate critical thinking and encourage creative problem solving." You can find LEGOs in most toy stores, but if you want the complete experience, visit one of their Discovery Centers or LEGOLAND Parks, where you can immerse yourself in all things LEGO at an amusement park or playground.